Card Counter Tommy Hyland caught....AGAIN! What's the matter with this guy? He's been getting caught card-counting at Eastern Seaboard casinos so much over the past few months it makes my head spin! Hyland, who just might be the most dedicated professional card-counter with the most longevity of all time, was recently booted out MGM's new Springfield, Massachusetts casino. Just a few months ago he received that same welcome in several New York State casinos. Of course Hyland has blackjack card-counting heat all over the United States and probably Canada as well. You would think he should emigrate to casinos overseas...at least for awhile. Here's an article recounting his MGM Springfield tossing. Just How Bad can Casino Game Protection Get? Why is there a dolly? Don't just take my word for it. Simply take a look at this casino game protection training video released by an Asian TV station. It appears to be a training class for a real casino staff or regulatory body, although I am not sure. The trainer is from the NSW Liquor and Gaming Control Authority, which indicates New South Wales in Australia, but all the attendees appear to be Asian, therefore I cannot pinpoint where this happened and for whom it was given. In any case, I have never seen such an utter display of lack of credible cheating knowledge by a game protection trainer. The woman shows nothing but low-level scams, and does a hesitating job at best. She then makes the incredibly naive statement that the dolly "will certainly stop people from putting bets on top." She means to say pastposting or capping bets, which respectively is making a new bet after the winning number has been determined or adding chips to an existing winning bet. The correct lexicon aside, her statement is so false that making it puts the casinos she trains at much higher risk and vulnerability to professional cheats who already feast on casinos lacking proper game protection training. This is because the best professional roulette cheating teams only do exactly what she tells her students cannot be done--pastpost maximum straight-up bets on the number-- UNDERNEATH the dolly. I myself pastposted $100 checks straight-up underneath the dolly hundreds of times. So this terrible piece of misinformation being fed to its dealers is just one example of why some casinos remain the professional casino-cheats candy stores of the world. I urge whoever hired this trainer...IF YOU DON'T WANT TO HIRE ME TO TEACH YOUR CASINO REAL GAME PROTECTION, AT LEAST HIRE SOMEONE WHO HAS A CLUE!!! By the way...now that we're speaking about the roulette dolly, how many of you know that before the mid 1950s it did not exist on American and Asian-style roulette wheels? Just like with French-style roulette wheels that never used the dolly, dealers simply pointed to the number and verbalized it with "red-black, even-odd," etc. Now that you know this, how many of you can guess why the dolly was invented? Online there are many accounts of this, but most of them are inaccurate. Some say that it was to help people remember the last winning number in order to facilitate their betting patterns for upcoming spins. 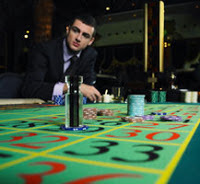 Others say by the dealer removing the dolly after all the winning bets are paid, the players know when they can begin their betting for the next spin. Although these reasons are partially correct, they have nothing to do with the one reason the dolly was invented. In fact, the ubiquitous roulette dolly has a colorful history, and I am actually a descendant of it...so to speak. Prior to 1955, there were no such dollies in existence. Roulette dealers would simply point to the winning number on the layout, announce it, and then begin sweeping the losing chips off the layout and the process of paying the winners, first the outside winners then the inside winners. The early and mid-fifties were the heyday of roulette pastposting (placing late bets), especially straight-up on the numbers. In fact, it was like a roulette cheating epidemic. The biggest roulette pastposting cheats at the time were Henry Classon, a cheating ancestor of mine, and a mute gentlemen named Mumbles, both inducted in the Casino Cheats Hall of Fame. This pair terrorized casinos in Las Vegas, Reno and Puerto Rico to the point that a fed-up pit boss named Kiki Vargas at the Americana casino in Puerto Rico decided to do something about it: he invented the roulette dolly. His idea was that if the dealer placed the dolly atop the chips on the winning number or on the naked winning number, roulette pastposting cheats would no longer be able to manipulate those chips or place ones on the number that weren't there before the ball dropped. But in spite of that, casinos across the world have been using the roulette dolly ever since. It was a combination false shuffle/digital camera scam, where the baccarat dealer exposed part of a baccarat deck so his cohorts playing at the table could photograph it, and then protected the slug of cards by performing a false shuffle. The scam netted more than $1 million. The dealer, Ming Zhang, worked with a group of players with whom he shared the proceeds from the scam. 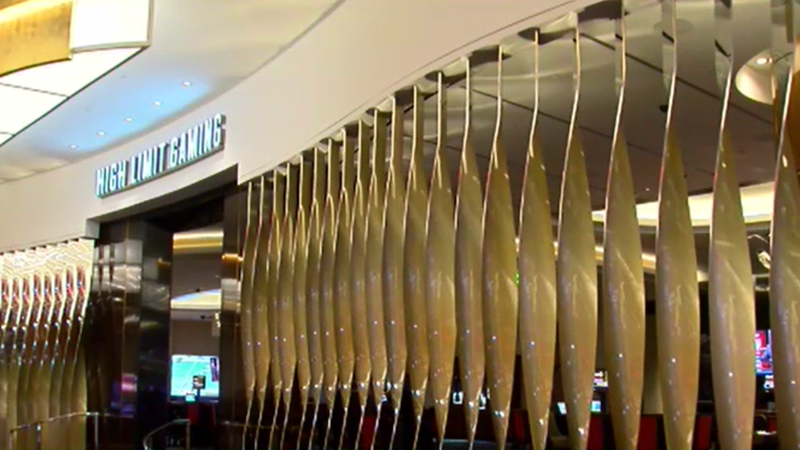 I don't currently have details on how the scam was detected or if any other casino employees may have been involved. Zhang will be sentenced on January 31, 2019. My take: Where there is baccarat...there will be big baccarat scams. GREAT RULING AND THOROUGH EXPLANATION! My take: This judge leaves no doubt as to what Ivey planned and did...and he got what he deserved! It wasn't a Casino-Cheating Murder!..Good thing! 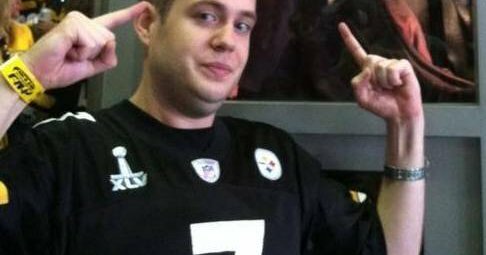 Yesterday I blogged about this case where a Mohegan Sun Pocono casino dealer who had led casino authorities to a huge $400,000 free-slot-play credit scam was found dead in a creek near that casino. There was speculation that the dealer, Matthew Crane, might have been murdered as a revenge payback for causing the convictions of three people, two of whom are currently in jail. I stated in my blog account of the case that I thought it was highly improbable that this really was a payback murder, based on my analysis of who the three convicted casino cheats are. One was vice president of player development at the casino, another a cocktail waitress there, and the third a gambler who frequented it. It turns out that an autopsy has determined that Crane died of accidental drowning, nothing more. I'm glad to hear that it was not a sinister case of killing someone of casino-cheating. Did this Casino-Cheating case lead to murder? In 2016 a Mohegan Sun Pocono dealer named Matthew Crane blew the whistle on a $400,000 free-slot-play credit scam using the theft of personal information that sent three people to prison, one of them Robert Pelligrini who was the cassino's vice-president of player development at the time, another a casino cocktail waitress named Rochelle Poszeluznyj, the third a gambler who frequented the casino named Mark Heltzel. 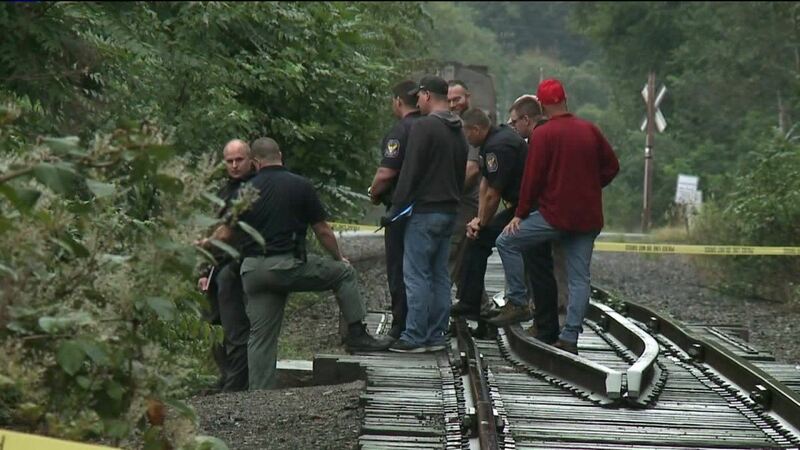 Well, tragically, Crane's lifeless body was found yesterday in a creek in Wilkes-Barre, Pennsylvania, not far from the casino where he worked. Although the police have not given details as far as a cause of death, nor stated that it was a homicide, it is easy to make that assumption based on the fact that Crane was an informant who helped send three people to federal court and plead guilty to various federal crimes in connection with the case. Pelligrini received a federal prison term of 32 months, while Heltzel got 18 months and Poszeluznyj six months house arrest and two years probation. Allegedly Crane led casino authorities to the scam because he had been dating Poszeluznyj while she was also involved in a romantic relationship with Heltzel, which caused him to be jealous. Pelligrini and Heltzel are currently in prison, so they could not have physically murdered Crane, but of course that doesn't mean they were not somehow involved in it, if, of course, it was a murder. My take: This one is difficult to call. The prison sentences were not too lengthy and neither incarcerated man has a history of organized crime involvement, as least none that has been reported by the press. Poszeluznyj was described at trial as being a student who was also holding down two jobs. Taking all this into account, I find it improbable that any of these three initiated or participated in a murder-for-revenge scenario. But stay tuned...I am sure something very interesting will surface with this case.